-APR TUNED- and -REDLINE SPEED WORX- present “DubRun” to the Poconos on Saturday, October 27th hosted by -GARDEN STATE EUROS-. The annual “DubRun” was created to host the final cruise and event of the season before winter comes and freezes us out of enjoying our cars. The “DubRun” is an ongoing yearly event for all European cars with a new cruise route planned each year. This event will be held rain or shine and we also made sure DubRun will not interfere with any other events in the area! 8:00am the cruise will assemble at the Meadtown Shopping Center (1485 State Rt. 23S, Butler, NJ) where Kinnelon Bagels will have “DubRun” -breakfast and lunch specials-. All attendees will receive an event info packet. The Meadtown Shopping Center -parking lot- serves as a great meeting location due to their large parking lot and easy access to the highway. 9:00am the cruise will begin and will take roughly 2 hours from NJ to the Poconos. 11:00am the cruise will end at the -BARLEY CREEK BREWERY- (Sullivan Trail and Camelback Road, Tannersville, PA) where we will spend the rest of the day. There will be many activities setup for a full day of enjoyment for European car enthusiasts and families. If you are unable to make the cruise part, feel free to arrive at the brewery after 11:00am. Entry is free although we are requesting clothing donations for our Salvation Army collection. Event bags will be handed out on a first come, first serve basis. 8:00am	Cruise assembles at the Meadtown Shopping Center (1500 State Rt. 23S, Butler, NJ). 9:00am	Cruise begins and will take roughly 2 hours from NJ to the Poconos. 10:30am	Cruise regroups at Pocono International Raceway (1234 Long Pond Rd, Long Pond, PA). 11:00am	Cruise ends at -BARLEY CREEK BREWERY- (Sullivan Trail and Camelback Road, Tannersville, PA) where the show will begin. 11:30am	Visit the Garden State Euros booth for Event Info, Show Car Registration, Raffle Tickets, DubRun T-Shirts, Stickers, Lanyards and DVD & Photo pre-orders! 12:30pm	-BARLEY CREEK BREWERY- offers free brewery tours (assemble in the restaurant bar). 1:00pm	Wiffle ball, Bocce and Horseshoe tournaments start in the game area. 2:00pm	Show car contest judging begins. 3:00pm	Completed show car ballots are due at the Garden State Euros tent. 4:00pm	Show car winners are announced and handed awards at the Pint-Size Park. 4:30pm	Raffle winners are announced and handed prizes at the Pint-Size Park. 6:00pm	Event ends, dinner and enjoyment the rest of the evening inside the -BARLEY CREEK BREWERY-. 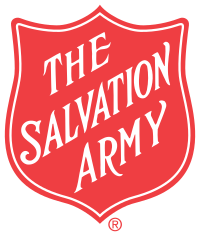 General entry will require only a clothing donation of any size for our Salvation Army winter clothing drive. Garden State Euros club members will be at the entrances of the -BARLEY CREEK BREWERY- with Salvation Army clothing donation bins. Please donate winter clothes to support our charity for this year. Cash contributions from our vendors will also go to support -Team EuroTrash’s Drive 2 Fight Cancer- charity. Registration is open from August 15th through October 26th or until registration is full... whichever comes first. The nature of the “show” will be very light, with classes being broken out primarily by make, with sub categories added based on volume of entries. Some “Fun” categories as well as a “People’s Choice” award will be open to all show car entries. Trophies will be handed out to winners of each class. Winners will be determined by a panel of official Garden State Euros club members. Paypal $15 as a personal “gift” to [email protected] and include the following information under notes. Pick up your show car registration packet at the Garden State Euros tent once you arrive at -BARLEY CREEK BREWERY-. Raffle tickets will be for sale at our Garden State Euros tent all day and the drawing will be at 4:30pm. DubRun t-shirts, stickers and lanyards will be for sale at our Garden State Euros tent all day. The Halloween costume contest is open to all ages, come in your best Halloween costumes! Prizes for the Halloween costume contest will be handed out throughout the day. It seems the majority of us scramble to find event photos of our cars on various threads after we attend certain events. We have gone one step further and will take pre-orders to access an online album of finalized, original photos from the event! -M.SPAD PHOTOGRAPHY- will be onsite for the entire day and will be accepting cash or credit/debit card payments through the -SQUARE- iPhone app at -BARLEY CREEK BREWERY- for the DubRun photo coverage. Pre-pay M.Spad photography and you will receive a password “code” to access an online album of finalized, original photos from the event! If you have personal cameras or video cameras, please bring them to the event and post your online photo albums in this DubRun event thread after the event. Garden State Euros (GSE) does not tolerate any misuse of vehicles including burnouts, engine revving, loud sound systems, speeding, racing, immature driving or unsafe practices. Local Tannersville police will be on site and we will report or remove any unwanted attendees. Our club also tracks offenders and provide the information to the local police and list them on an -“Official Tri-State Meet, Club, Event BLACKBALL List”- thread. Attendees are not to take these precautions as a threat but rather a realization that Garden State Euros (GSE) will protect their club and events at any cost for the true European car enthusiasts and community. Their events and meets are simple; arrive, park, turn off the car and hang out with other enthusiasts. With the anticipated turnout, Garden State Euros (GSE) wants everyone to know that this is a family oriented club with parents and children attending and strict conduct rules will be enforced. We also reserve the right to refuse admission for attendees to Barley Creek Brewery and will notify the local police of offenders from last year’s event. Overnight accommodations are available at the local Days Inn of Tannersville which is within walking distance or 5 minutes away from -BARLEY CREEK BREWERY-. The group rate for rooms is $65 plus tax per night but you need to call and reserve your room under “DubRun” or reserve your room online using the promo code “CGDUB” by October 1st so we obtain the 10 room minimum required for this group rate. Staying over for the weekend? Check out other local attractions with the family! Please subscribe to this thread as post #1 and #2 will be updated constantly with new information. When does online registration open for the show car contest? Registration is open from August 15th through October 26th. When can show cars arrive? Show cars will arrive at 11:00am with the rest of the cruise. There will be plenty of time to quick detail your cars as the judging begins at 2:00pm. Can I register for the show car contest on the day of the show? Yes, but only if pre-registration has not filled up. Please stop by the Garden State Euros tent for more info. Can I pick up my registration paperwork at the show? YES!, All show car registrations will be handed out at the Garden State Euros tent once you arrive at -BARLEY CREEK BREWERY-. Will I receive a registration in the mail? No, All car registrations will be handed out at the Garden State Euros tent once you arrive at -BARLEY CREEK BREWERY-. Do the general entry passengers or show car passengers need a separate admission? No, we ask that the general entry passengers please donate winter clothes to support our charity for this year. We ask that the show car passengers please donate winter clothes to support our charity for this year. No, there will not be any club parking or registration. What time do I have to be in place to show? All show cars need to be in their parking location by 11:00AM to be judged at 2:00pm! What time are the winners announced? Judging will start at 2:00pm. Winners will be announced at 4:00pm. No, please do not bring your pets as they will not be allowed at the event. Is outside food, beverages or alcohol permitted? No, all food, beverages and alcohol consumed must be purchased from the -BARLEY CREEK BREWERY-. All vendors / sponsors need to arrive at -BARLEY CREEK BREWERY- no later than 9:00am to setup their displays. Last edited by HYDE16; 10-08-2012 at 03:32 PM. If you are a vendor interested in becoming a participating sponsor of DubRun 2012 please PM HYDE16 or contact us at [email protected]. As vendors come on board to sponsor DubRun 2012, their company name, contact information and logo will be added to post #2 of this thread. DUBRUN COUPON: Use promo code "DUBRUN" for 15% off online purchases! European Car will have our DubRun event in their Euro Clubs & Events – 2012 Event Calendar and will provide event pre and post coverage with highlights and pictures in their upcoming issue! Stay tuned! The event coverage with highlights and pictures will be posted soon! Stay tuned! Last edited by HYDE16; 09-25-2012 at 08:35 AM. Our club was formerly known as Tri-Dubbin’ which originally started as a New Jersey Volkswagen based club but soon evolved into a full European car club with Audi, BMW, Mercedes Benz, Mini Cooper, Porsche, Volkswagen and other cars from all over the Northeast. Based on the overwhelming response at our weekly meets and at our Annual DubRun events, we felt the need to update our club name to encompass all European cars and owners. The club name has officially changed from Tri-Dubbin’ to Garden State Euros or “The GSE”. Garden State Euros will serve as the Tri-State's European car club for all owners and enthusiasts who value the culture and conduct of our meets and events. Garden State Euros began in New Jersey where we continue to meet year round on a weekly basis with a large attendance from New Jersey, New York and Pennsylvania members. -The DubRun event, website(s) and any physical material will not be responsible or liable for any claims, penalties, loss, damages or expenses arising from alcoholic consumption at Barley Creek Brewery. -The DubRun event, website(s) and any physical material will not be responsible or liable for any claims, penalties, loss, damages or expenses arising from hotel accommodations at Days Inn of Tannersville. -The content of the DubRun event, website(s) and any physical material is for general information only and does not constitute any form of advice or recommendation upon which a specific decision should be made. The DubRun event, website(s) and any physical material has exercised reasonable care to ensure the accuracy and currency of the materials contained on its website but excludes any warranty express or implied as to quality, accuracy, timeliness, completeness or fitness for a particular purpose of the material contained within this website. -The DubRun event, website(s) and any physical material will not be liable for any claims, penalties, loss, damages or expenses arising from the use or the inability to use the website or from any unauthorized access or alteration to the website [by a third party]. -The DubRun event, website(s) and any physical material accepts no responsibility for loss or damage that may arise from reliance on information or advice contained on its website. 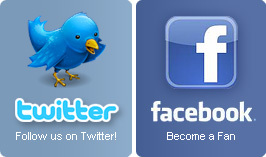 -The DubRun event, website(s) and any physical material includes links to external websites. These links are provided for your further information. The DubRun event, website(s) and any physical material accepts no responsibility for the content of these websites and specifically excludes to the fullest extent permitted by law all liability that may arise with respect to or as a result of such material causing damage, costs, injury or financial loss of any kind. -The DubRun event, website(s) and any physical material may from time to time contain advertising material. When it does, the DubRun event, website(s) and any physical material does not endorse or accept any liability for any of the products or services so advertised, or for any error or inaccuracy in the advertisements. Advertisers and sponsors are responsible for ensuring that material submitted for inclusion on the website complies with all relevant laws. -The DubRun event, website(s) and any physical material which state starting times, running order and on-the-day locations are subject to change at any time, up to and including the show day. The organizers will use their best endeavors to provide advertised locations, but circumstances beyond their control - such as weather conditions or construction - may mean that some or all of the show events are altered, abandoned or cancelled. -These terms are not intended to confer any benefit on a third party under the provision of the Contracts (Rights of Third Parties) Act 1999. -These Terms & Conditions of use shall be construed and interpreted in accordance with United State law. -By attending the DubRun event and viewing the website(s) and any physical material you are agreeing to all terms above. Raffle prizes and show car contest categories updated! 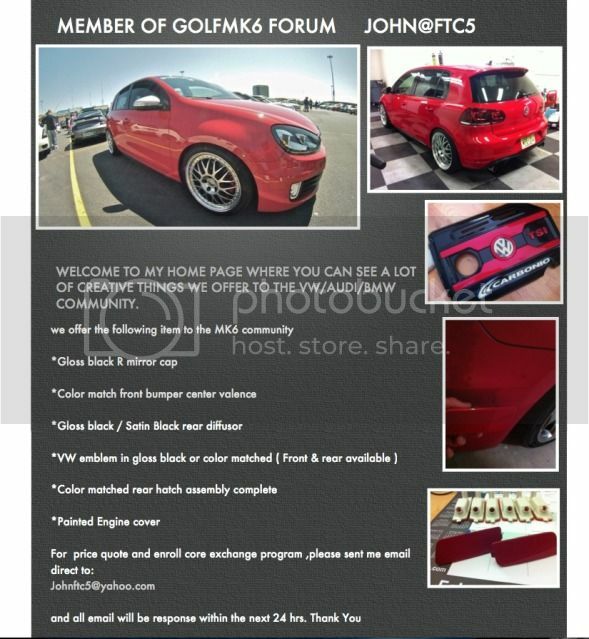 Detailer’s Domain is offering a promo code on their website to stock up on supplies for the event and show car contest. Updated event sponsors with Need Powder Coating who will be on site at DubRun! If you are unable to make the cruise portion of this event, feel free to arrive at Barley Creek Brewery anytime after 11:00am. Raffle prizes, sponsors and event map have been updated! We have secured a DJ for the event with a great selection of family oriented music! Register your car for the show car contest! Let’s get those show car contest registrations in everyone! Mercedes and Porsche categories added!